"the plant is able to impart the spirit of the gods into man"? That's the award-winning quote right there! There wasn't room to include all the notable quotes but trust me: there's enough to make you gag on a gusano. Bottled immediately after a two part distillation process using copper containers that produce a clean spirit largely free of impurities. It is rewarded with two gusanos that remarkably do not alter in any way the transparent clean color that it has. 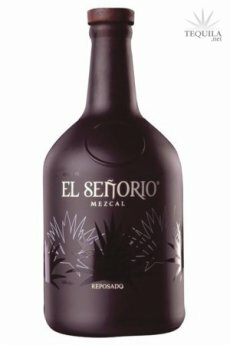 A sudden warmth of astringency with tones of grassiness and oregano like bitterness engulf the mouth but a lingering sweetness sometimes reminiscent of a fresh peach surprises your taste buds as you begin to realize this mezcal holds the balance of acidity and bitterness. Color: Bright luminous crystalline with shades of silver and ice blue. Bouquet: Intense herbal with touches of mint and after thought of smokiness. Body: Robust well endowed with character of flavour and texture. Palate: Potent but smooth with tremendous staying power and light touches of olive. This bottle is given a unique organic flavour through the addition of the Gusano (the worm). The Gusano has always collaborated with the spirit of the plant in its natural environment. It has since evolved to signify myths of an aphrodisiac or a means in which the plant is able to impart the spirit of the gods into man. Today, the Gusano has a much wider repertoire and it is enjoyed for its taste finding increasing fame in high cuisine. 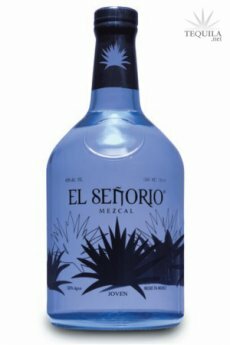 The top of the line, is distilled in small batches just outside of Oaxaca City. 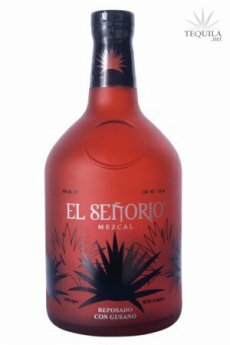 It is made 100% from the Espadín species of the agave plant and it is the most comparable to single malts due to its taste and color. The American oak barrels in which it rests gives the spirit a beautiful honey colour. The oak properties are non-intrusive and instead complement the mezcals complex balance and flavours by muting the smokiness derived from the roasting process.